Are you one of the 45 percent of Americans that snore? Everyone snores every now and then, but some people snore more frequently. Snoring is more common in men, but ladies, you can snore, too, especially as you get older. Don’t let your snoring get in the way of having a good night’s rest for you or your partner anymore. Here are 15 simple and easy home remedies for snoring you should try. People snore because there is a lack of air moving freely through the throat and nose while they sleep, and this causes the surrounding tissues to vibrate making that dreaded noise. Frequent snorers may have more nasal and throat tissue known as uvula which does vibrate more. The position of your tongue can also get in the way of your breathing. If your throat muscles are relaxed, you are likely to snore because the tongue falls to the back of the throat. The walls of the throat then vibrate causing that sound. Take back your sleep. Here are some natural ways to stop snoring. Give them a try – your partner will thank you. If you have a minor snoring problem you may be able to fix this problem just by changing your sleep position. Lying on your back makes the base of your tongue and soft palate collapse into your throat causing you to snore. Try sleeping on your side with a body pillow to help you stay in this position. Sleeping on your side prevents the muscles in the throat from blocking the passageways when they get too relaxed. You can also angle your bed in a head-up position if you have a bed that reclines. This opens the nasal airway passages. If you are worried about rolling over in your sleep, you can try an old method to stay on your side. Tape a tennis ball to the back of your pajamas. When you roll over in your sleep, you will move back or wake up. Chest and nasal congestion can also cause snoring. Peppermint oil helps relieve congestion including in nasal passageways. It is also a great essential oil to relieve sore throats. Goldenseal is another natural supplement that can help relieve nasal and chest congestion. You can take this supplement in capsule, liquid, or powder form. Try some herbal tea with peppermint or goldenseal – just make sure it doesn’t have caffeine. Our body’s digestion also plays a big role in our sleep and can ultimately lead to snoring. If you have indigestion from acid problems, fenugreek and spearmint can help cure this issue by helping your body get rid of the acid. If the sinuses block the airways, the mouth will open and the uvula will begin to vibrate. Vitamin C may help prevent fight this because it helps boosts your immune system. A healthy immune system will help keep sinuses clear. Foods high in vitamin C include broccoli, red bell pepper, and citrus. Papaya and pineapple have high levels of vitamin C and also bromelain that also helps sinuses. Eucalyptus is a popular natural remedy to help fight chest colds. You have choices on how to apply eucalyptus to help minimize snoring. Try putting the eucalyptus leaves in a steamer and inhale it while breathing in the steam to clear out your sinuses. You can also put your head over a bowl of hot water and cover it to inhale the steam. Just drop about five drops of each eucalyptus and peppermint oil. Cover your head with a towel and inhale the steam. Be careful the steam isn’t too hot because it can burn. Do this right before bed and it will help reduce inflammation and clear your airways helping you to breathe easier without snoring. You can also talk to your dentist about an oral appliance to help change your airway opening. This means giving your tongue enough room so it does not obstruct your air passageways while you sleep. You only wear these devices while you sleep. It fits like a mouth guard or retainer and keeps the jaw in a forward position, which keeps the upper airway open. If you have extra body weight especially in your neck, this can narrow your throat as you lay down. Those who are overweight tend to have a larger neck circumference, which can play a role in snoring. Losing weight can help you sleep better and limit your snoring. There are also numerous health benefits to losing weight, but it may not help all people stop snoring depending on where you carry this extra weight. Dry air dries out the throat and can cause congestion because the nasal membranes and throat also dry out. Congestion ultimately restricts all natural breathing patterns and causes the tissues to vibrate. A humidifier will help eliminate dry air helping you to breathe easier. You can also add essential oils to some types of humidifiers to further fight congestion. Snoring happens when the throat and tongue are relaxed. Alcohol does relax most people, so it can help contribute to snoring. You should limit your alcohol consumption or avoid alcohol to avoid the extreme relaxation that leads to snoring. Avoid drinking alcohol about four or five hours before you go to sleep. This gives it plenty of time to get out of your system. Strengthening your tongue and throat can help limit the over-relaxation of that area that leads to snoring. One exercise is to put you lower and upper molars together gently. Open your mouth and pull your molars far apart without overstretching. Repeat this about 10-15 times. You should start to feel the back of your mouth open up. Dairy can leave an extra layer of mucus in your throat and mouth. This blocks the airway causing snoring. A big meal right before bed can also cause snoring. If your stomach is full, it will push against your diaphragm. This affects rhythmic breathing causing you to snore. Olive oil can help treat inflammation which can effectively alleviate swollen membranes. It soothes the tissues of air passages to help prevent snoring. Olive oil also helps reduce soreness and breath vibration when you sleep. You can simply take a sip of olive oil right before bed every night, or you can also mix it raw honey to consume before bed. You need about a 1/2 teaspoon of olive oil to consumer nightly. Honey is another natural remedy to help reduce inflammation. It can also help you ease a swollen throat. Honey is good for lubricating your throat to help limit snoring. You can add about a tablespoon of raw honey in a glass and add some lukewarm water. Mix them together and consumer every night before going to sleep. You can also mix the honey with peppermint tea or any other tea. Drink this tea before bed or right after dinner daily. Chamomile tea can also treat your snoring. Chamomile also has anti-inflammation properties to help reduce snoring. This tea helps relax your muscles and nerves near your throat helping you to sleep more soundly without the interruption of snoring. Try adding about a tablespoon of chamomile flowers to your tea and boil them in the water for about 20 minutes. Add some raw honey to help you stop snoring. Have this tea nightly before bed to help you relax. Cardamom is also a decongestant. It can help open the nasal passages that are blocked. If you open up you blocked nasal passage, there is more room for the air to pass through limiting snoring. You can take cardamom in various ways to help with your snoring. You can add a few cardamoms to your water and drink before bed. You should use about a half teaspoon of cardamoms in lukewarm water, which is better than cold water. All of these remedies help open up your air passageways to help prevent the tissues from vibrating. Try all of these remedies to see which works for you. Overall, you want to sleep on your side, avoid alcohol before bed, and keep airways open and unclogged. It’s always important to stay hydrated. It helps prevent your mucus in your nose from getting sticky. Water helps everything move smoother throughout your body to help you breathe easier. You may be able to get rid of snoring with just a few simple changes. It’s worth a try to get that seven to eight hours of uninterrupted sleep. Want More Tips on How to Stop Snoring? If you are looking for more ways to stop snoring in addition to the home remedies for snoring, check out our blog. You will find articles like the world’s best anti-snoring devices. 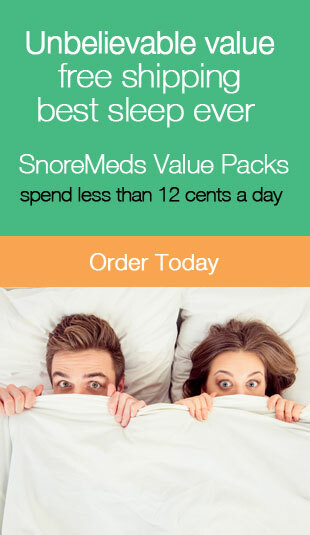 You deserve to get your best uninterrupted sleep without snoring. I tried all kinds of stop snoring devices with varying degrees of success. My passion has become helping others discover just how much better they can feel by getting a truly restful nights sleep. I am always available for consultations and questions via the comment sections or email and I love hearing from you. To a happier and healthier you! What is the Best Sleep Position to Stop Snoring? Sleep Cycle Stages – Are You Making It Through Each One? I really appreciate your tip on how propping up your head while you are sleeping can help clear your airway and prevent any snoring from happening. My wife recently got a new job, and I don’t want to keep her up before she has to go in. I will be sure to prop my head up to stop any snoring! Mark, I have the same issue! My only issue with propping up the pillows is that they don’t always stay that way! I started using the Smart Nora product and it works great for me. It senses when I’m about to snore and raises the pillow automatically, so it doesn’t matter what position the pillow is in, it’s always adjusting. Thanks for stopping by and the comment, Gook Luck! I have a sister that is thinking about helping her husband get a snoring treatment. She wants to make sure that they are helping her husband as much as possible. In addition to seeing a professional, it might help him to start drinking chamomile since it has anti-inflammation. Chamomile is a good option depending on how bad his snoring is. If it’s not to severe chamomile tea and even throat sprays can have an anti-inflammatory effect. However, if his snoring is more severe, they might want to consider other options. Thanks for the comment, and tell them good luck!